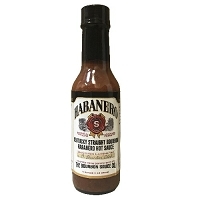 Purchaser of this product hereby acknowledges the intense heat factor of this product and the element of danger if misused. 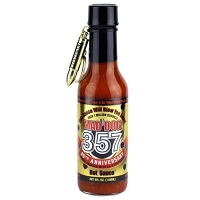 The Acute Burn Artifact contains pure 1 Million Scoville Pepper Extract (1,000,000 Scoville units). Each bottle is handcrafted in small batches and delivered to you in a deadly looking Glass Skull bottle. 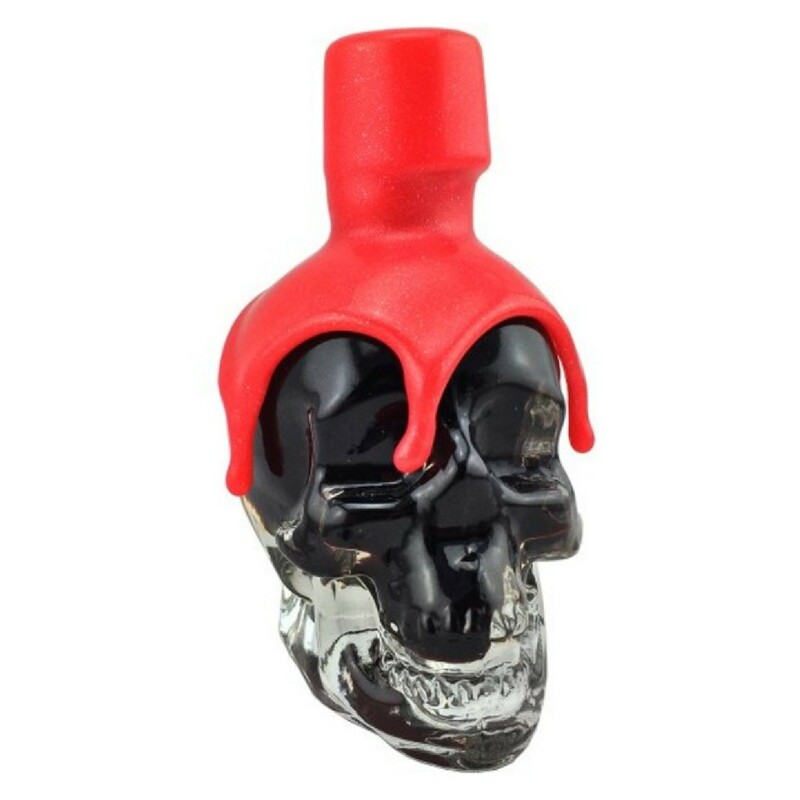 The Artifact Glass Skull bottle is then hand dipped and sealed in a RED Artisan Style Wax, no two bottles are alike! 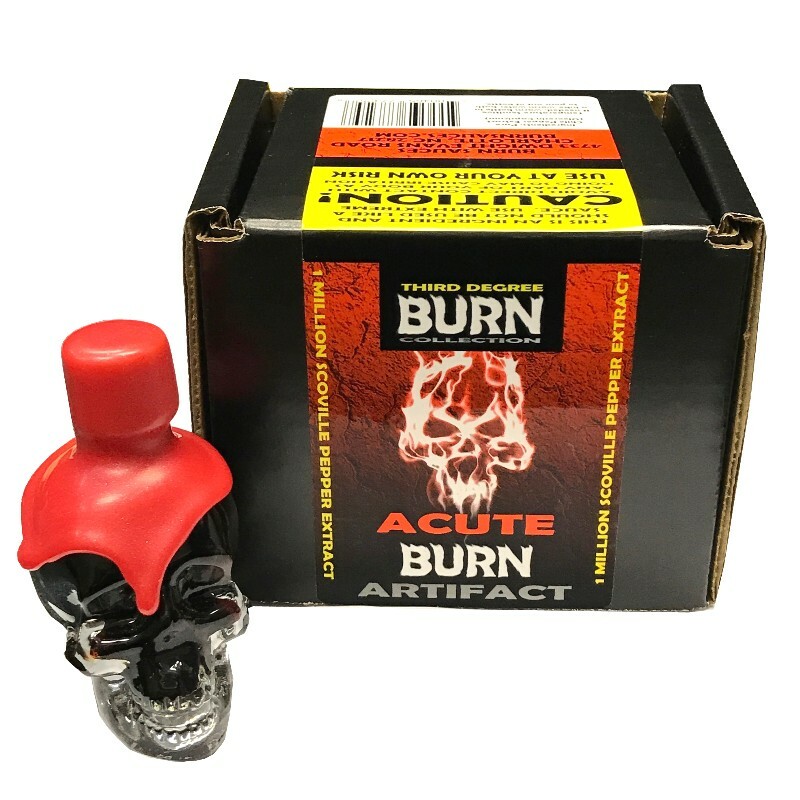 Proudly Made by Hand in U.S.A. All Artifact Hand Made Skull Bottles are presented each in their own elegant black gift boxes with appropriate WARNING and CAUTION labels! Makes an Incredible Gift for that special Chili Head Collector! 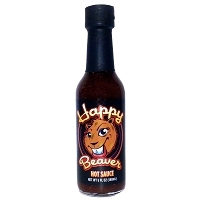 Ingredients: 1 Million Scoville Chile Pepper Extract.